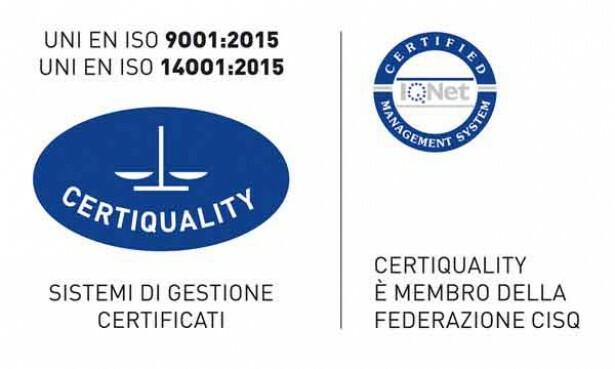 COSEPURI's headquarter Quality Control System is certified according to the UNI EN ISO 9001:2015 norms. This guarantees high quality, thorough, and personalized services which assure customer satisfaction. Having obtained the Environmental Management System Certification according to UNI EN ISO 14001:2015 norms, COSEPURI currently has got an integrated management system for Quality and Environment. With regards to the provisions of Legislative Decree no. 231/2001, Cosepuri adopted an Ethic Code, an Organizational Model, a Statute of the Supervisory Board and a series of procedures to be applied to the areas considered at risk and has also taken steps to elect a Supervisory Board in order to establish an adequate system of prevention and protection from crimes whose responsibility could be attributable to the company. With regards to the provisions of the Italian Regulation No. 852 of 29/04/2004, Cosepuri has adopted a Handbook of Self-control according to the HACCP method. With regards to the provisions of the Legislative Decree no. 81/2008, in order to comply with its obligations regarding the safety of workers at the workplace, Cosepuri has adopted the necessary documents for the Evaluation of Risks in relation to activities conducted at offices and garages and has put in place towards its employees and associated companies an activity of prevention and protection through training its employees in case of Fire, Accident Prevention and First Aid.